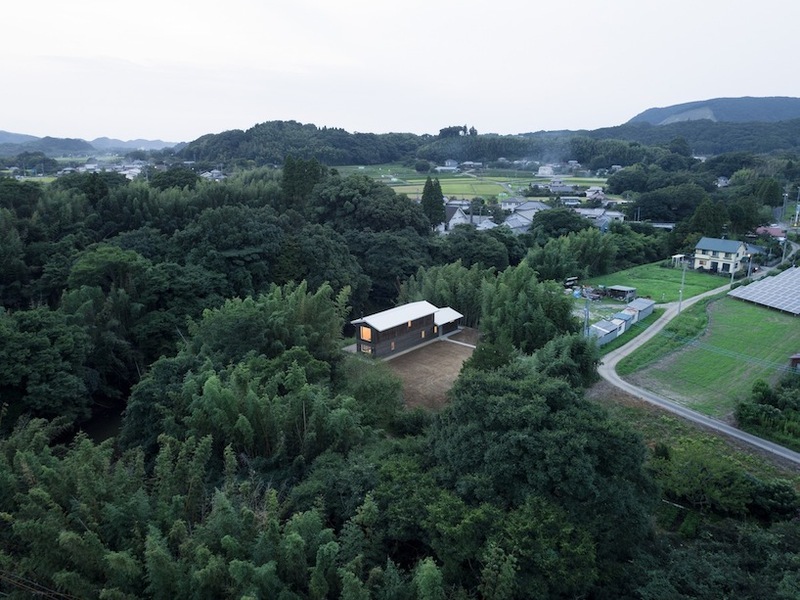 the location in chiba, japan where the sound of the river can constantly be heard, was chosen by CASE-REAL’S client who is a photographer. 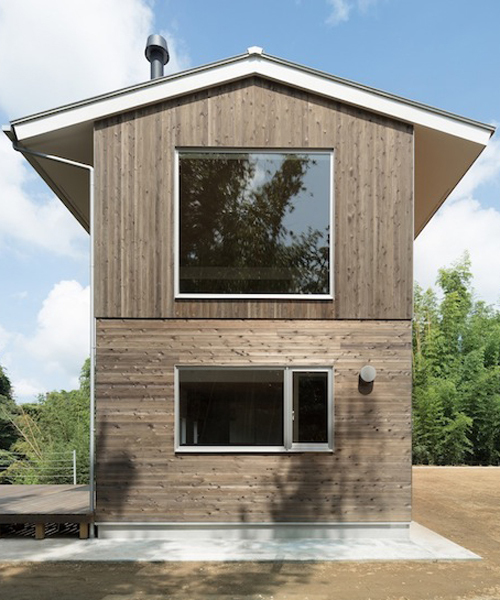 here, the volumes of the structures were placed along the river, creating a long two-layer volume. 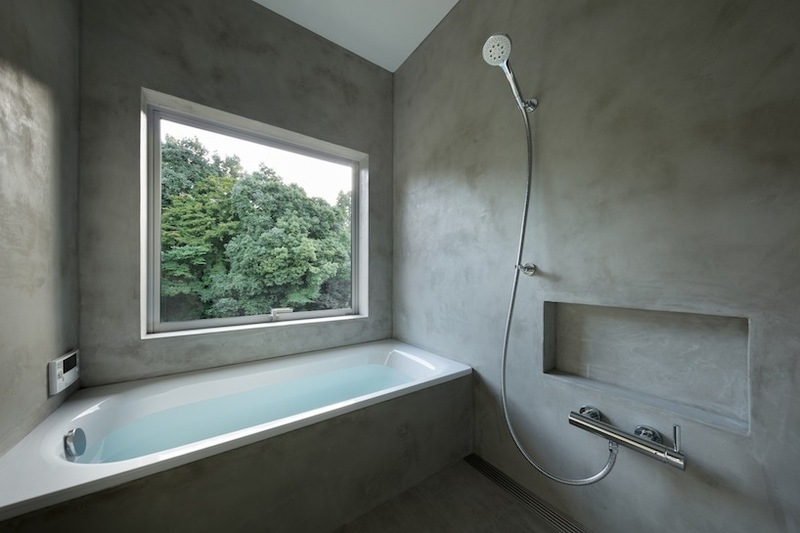 thus, the sound of flowing water can be heard in all the rooms which also have a view facing the stream. 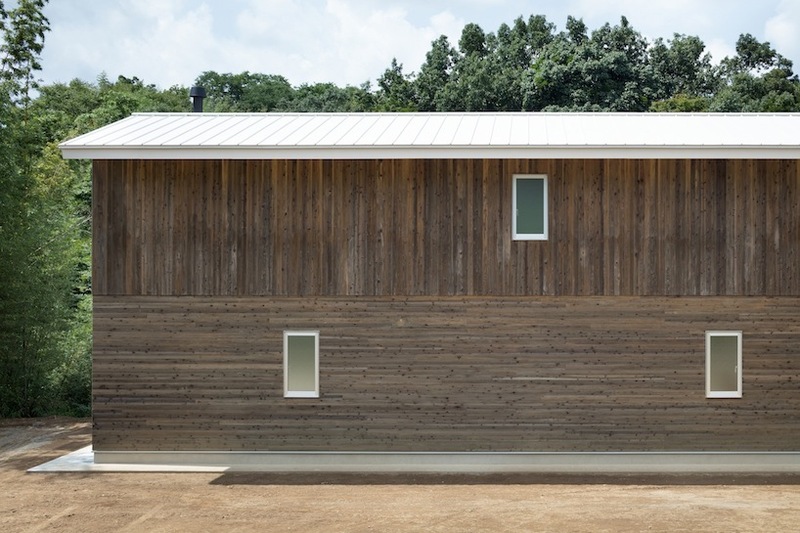 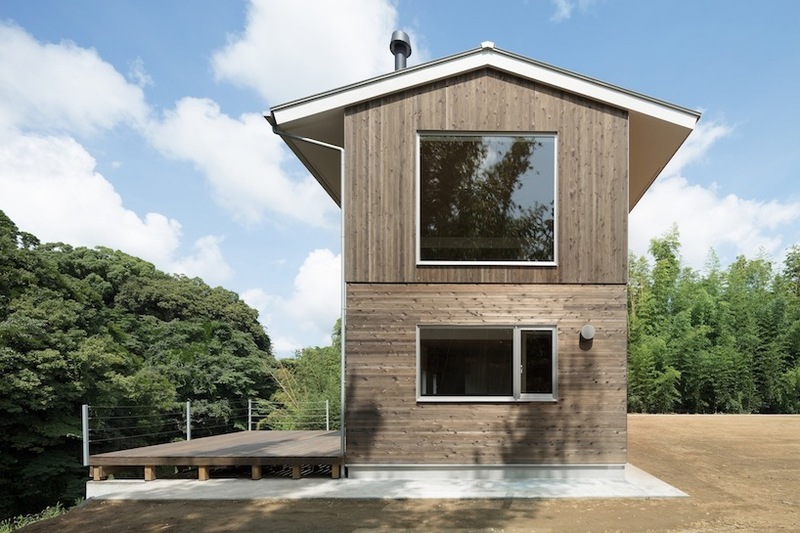 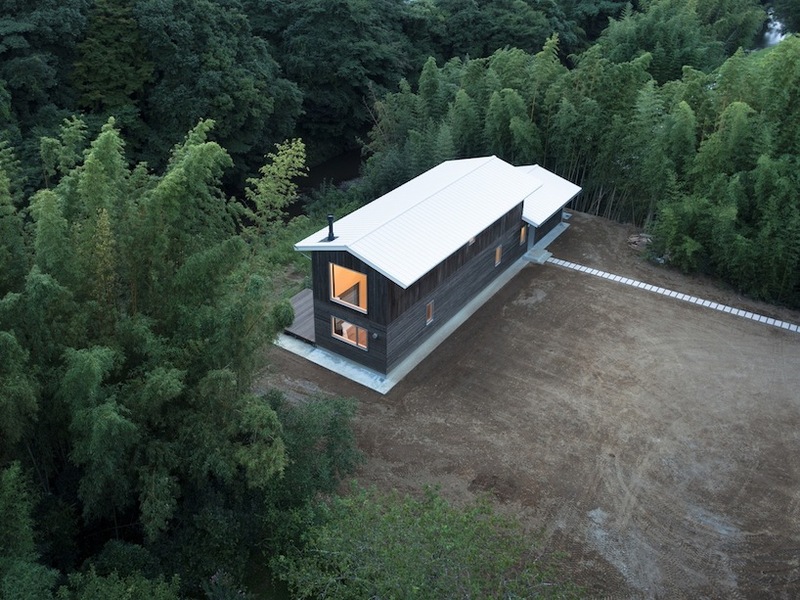 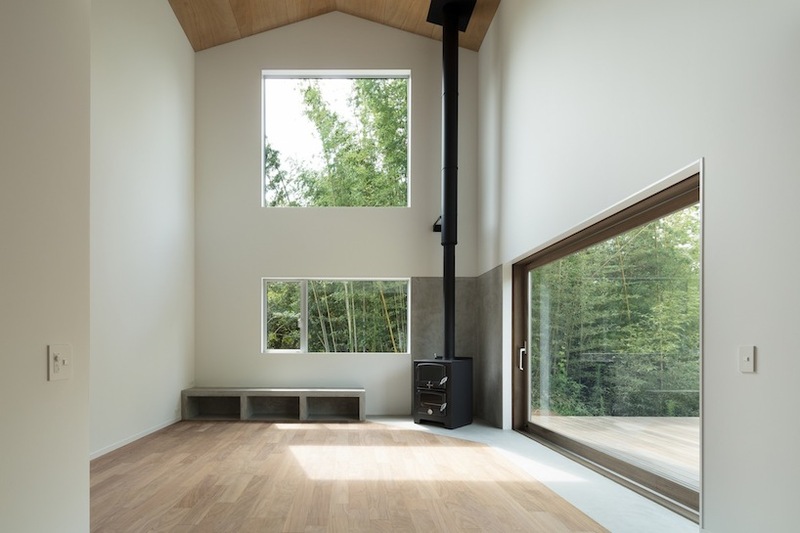 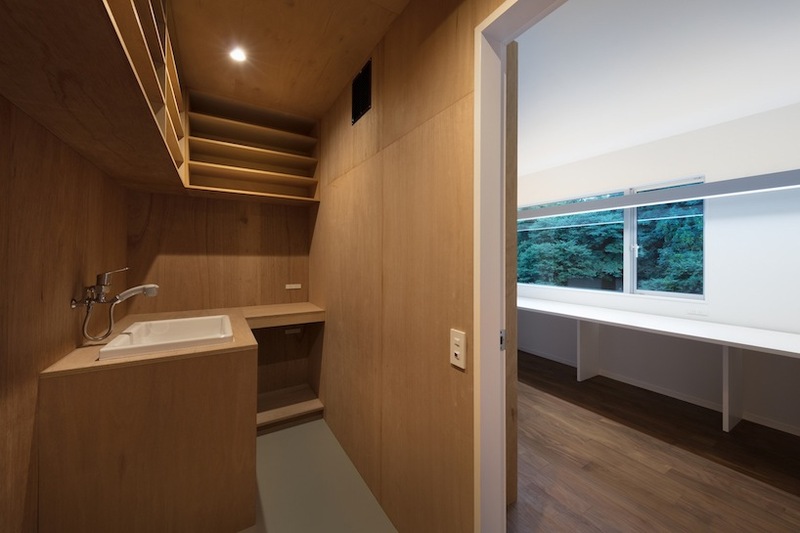 japanese office CASA-REAL‘s ‘house in higashi ohwada’ also functions as the photographer’s studio. 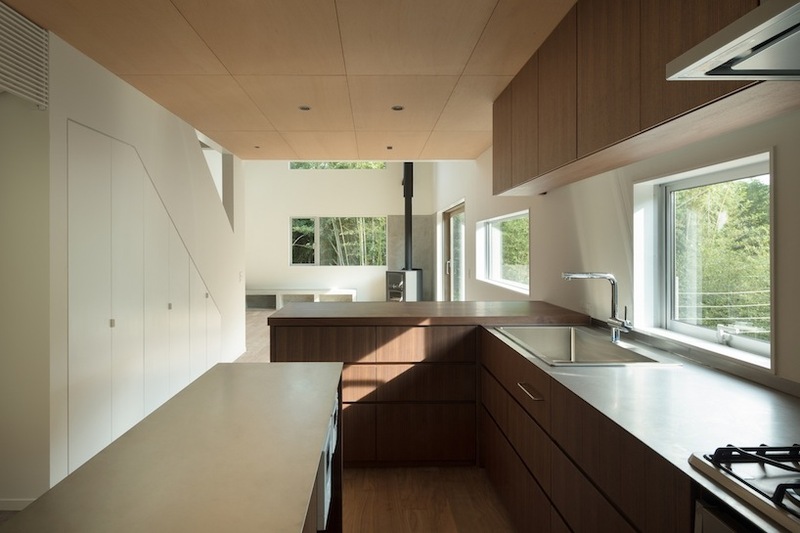 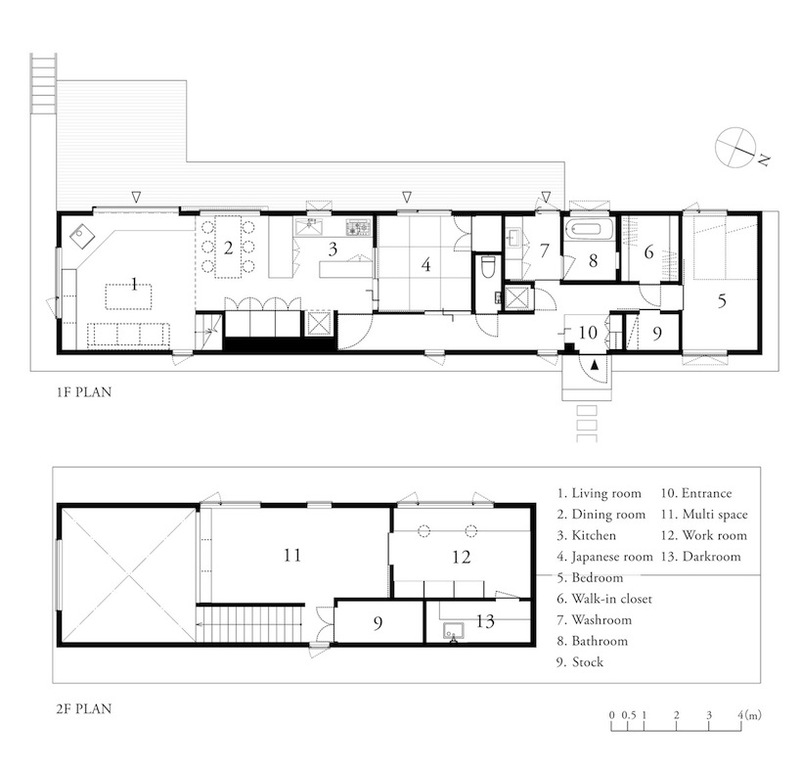 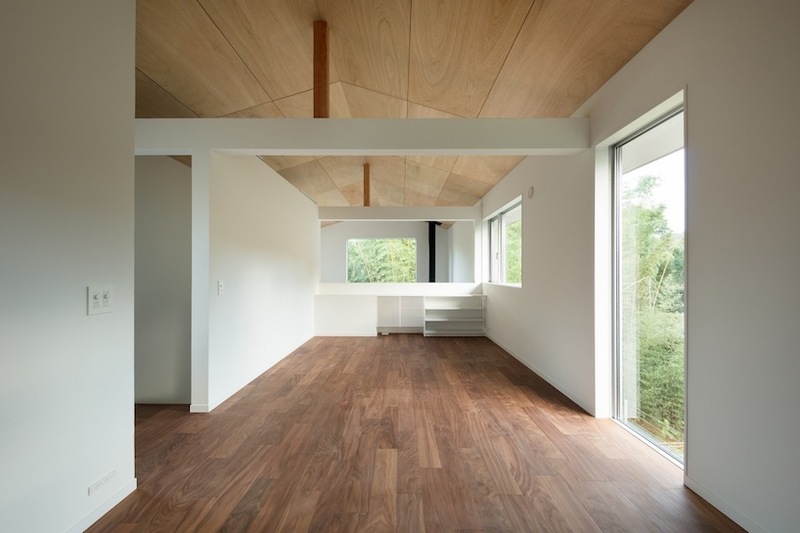 here the design team has created a studio space on the second floor, and the living space on the ground floor, and by connecting these two floors with a well hole the architects aimed to gently link the atmosphere of these separate floors. 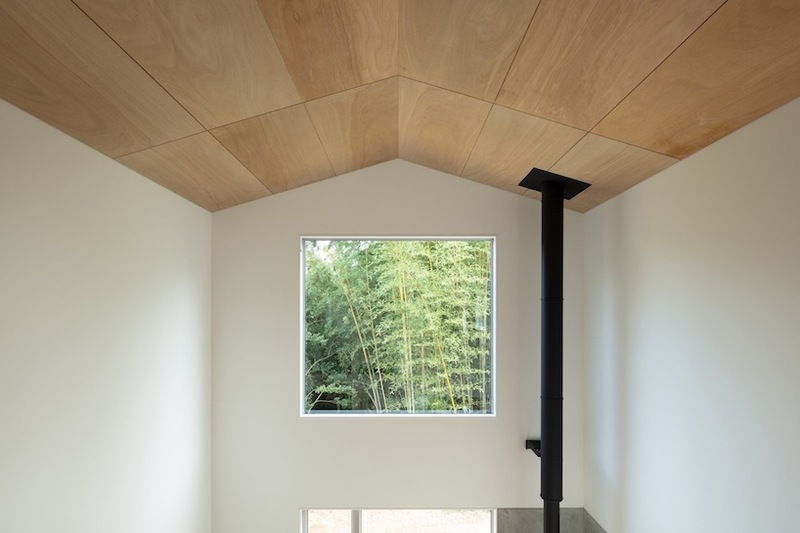 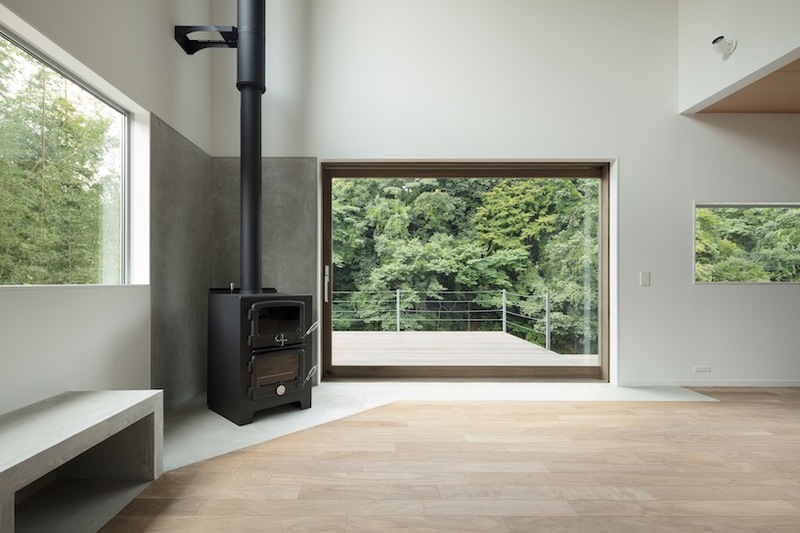 in addition, by stretching the living room outwards to the stream as an outdoor wood deck, CASE-REAL aimed to take in the surrounding nature as much as possible.